There are so many amazing moments that happen on The Ellen Show. She makes you smile, laugh and dance everyday, bringing some amazing joy into this world. She is truly a gift to us all. I love seeing some of the highlight reels from her show pop up on my news feed daily and have to watch them right away. Here is a year in review of some of my favorite moments. Twins Aaron and Austin Meet Ellen – When I first saw this video online my heart sank because you could feel the pain these two brothers were going through. When I saw that they were on Ellen and had a chance to share their story I had to watch! I wish all people who come out to their parents would have a person like Aaron and Austin’s dad in their life. She loves meeting new talented young kids and she showcases their talents on her show. From dancing, singing and musicians. She met Macey Hensley on February 17th, 2015. When she started to talk about the presidents and the fun facts I just started to crack up! Justin Bieber talks to Ellen about his rise to fame, his past mistakes, starting a new chapter in his life and bring roasted on his birthday. A New Kind of Prom Date – This story is so touching and I wish there were more stories like this out there. Anthony Martinez didn’t have a date for the prom so he asked his straight friend Jacob Lescenski to go, and he said yes! Ellen knew she had to share their incredible story. The Unbelievably Hilarious Amy Schumer – This was probably the funniest clip of the year! I love Amy Schumer, and the way Ellen reacts to her comedy is awesome! Balang’s US Debut – This kid just cracks me up! You see his smile and love for dancing and you cant stop watching! This is one kid dancer who is about to “Bang Bang” right into your heart. Ellen’s Favorite Sophia Grace & Rosie Moments – These two have this energy for life that is so amazing! Watching them have some amazing experiences that they never would have had if they didn’t meet Ellen! 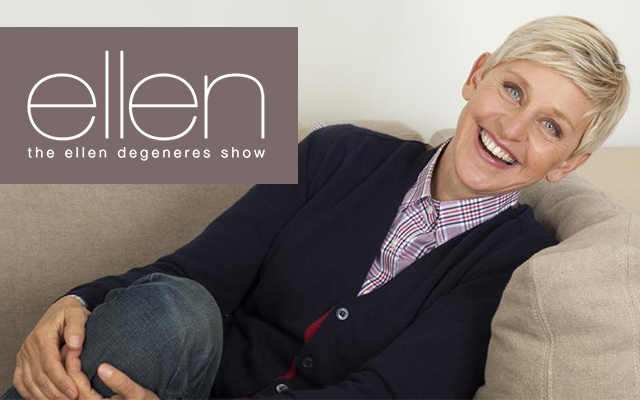 Here are some of Ellen’s absolute favorite moments. Caitlyn Jenner’s Courageous Journey – Caitlyn’s first ever talk show appearance was on The Ellen Show and talks about being her authentic self. An Extraordinary Honor for Ellen – Peter Roth, President and Chief Content Officer for Warner Brothers Television group presents Ellen with a great honor! We can’t forget about Sophia Grace & Rosie. The two hit the the AMAs Red Carpet. Ellen’s Dance Off – Ellen creates another new fun and exciting app. This time it is geared around dancing! You can win a trip to her show by uploading your dance video to the app and a winner is picked. This entry was posted in Equal Rights, GFM News by Janey Grace. Bookmark the permalink.